This double pom pom is soft and cozy, perfect for fall, spring and winter. 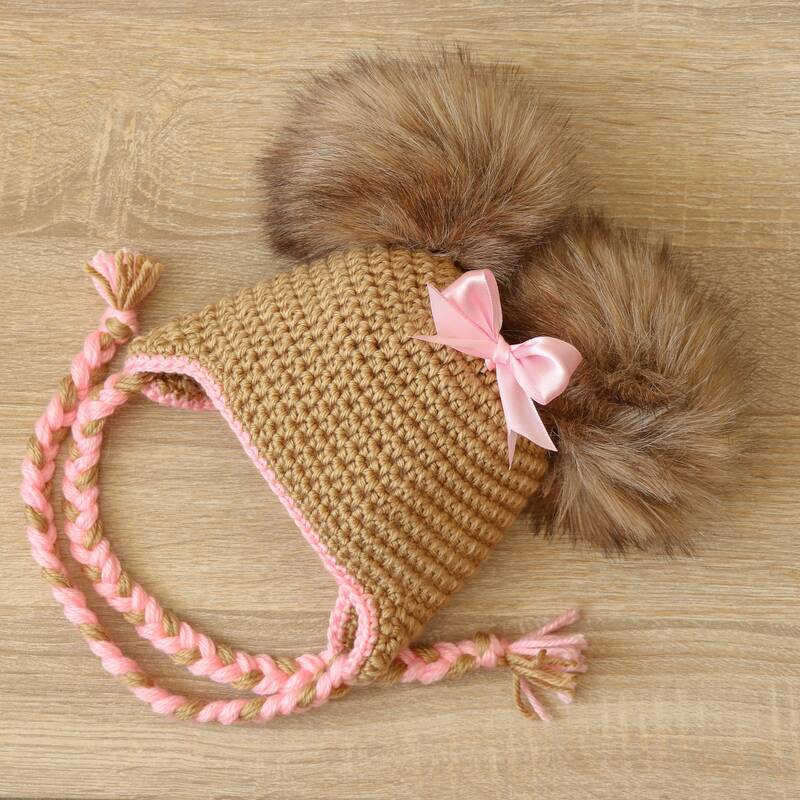 Luxury, warm and super trendy hat with faux fur pompoms is perfect for everyday wear and also perfect for gifting or for a special photo session. The hat is made with a soft acrylic yarn (the yarn is soft and delicate on the skin and is non-itchy). Decorated with a pale pink satin ribbon bow (easy removable). The hat has no visible seams. For best results, hand wash in cold water or wash in a mesh bag on gentle cycle with similar fabrics and lay flat to dry. Fur can be combed after washing and drying with a clothing comb. Love the hat, great quality, looks amazing when my baby girl wears it! Thank you! Die Mütze ist wunderschön, genau wie auf dem Bild und sehr nette Verkäuferin. This was absolutely perfect!!!! Super quality and wonderful response rate! Shipped to me so quickly. I cannot wait to see my girls in this!